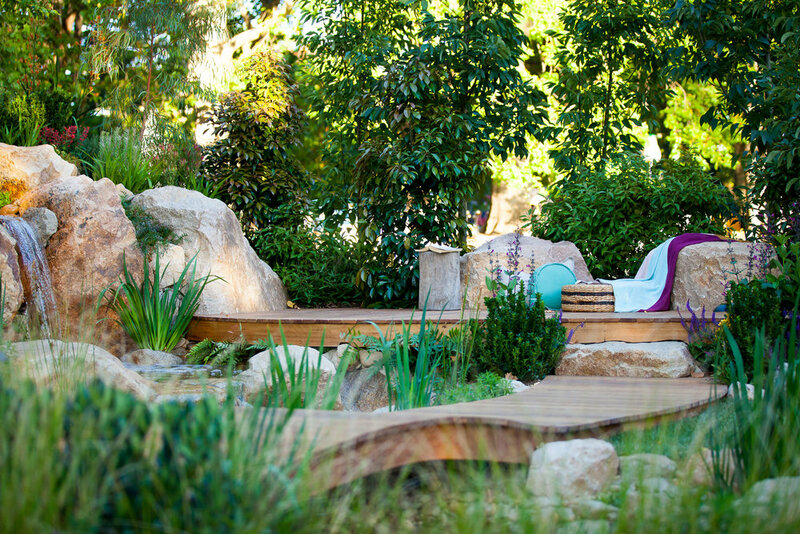 The Harmony garden at the Melbourne Flower show was a collaboration with Ben Harris Gardens. 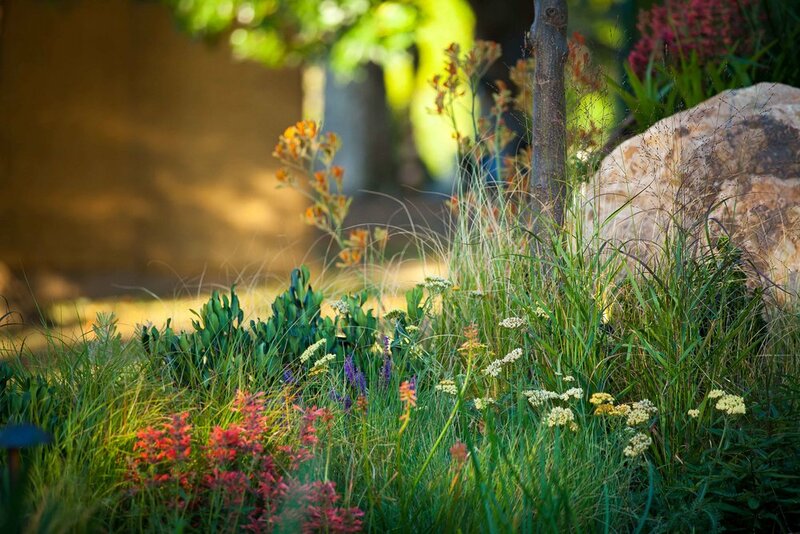 Together we created a design that would immerse you in the natural environment, a space to relax and unwind, reconnecting with nature. 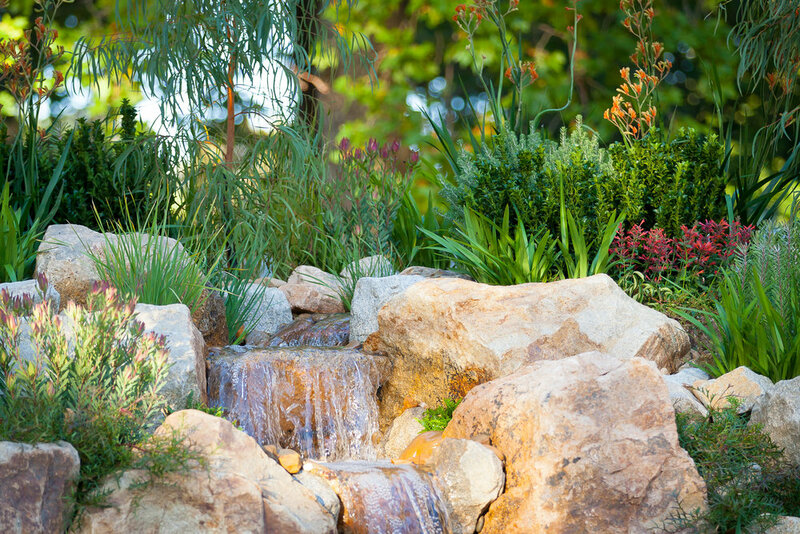 A space to replenish the soul and just ‘be’. 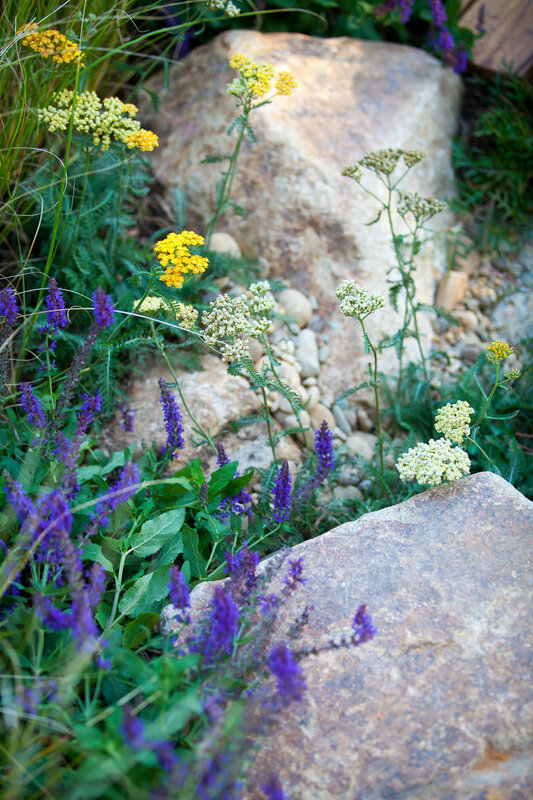 This is a garden where there are no divisions, no conflicts, no labels. A place that is inviting and welcoming of all forms of life. 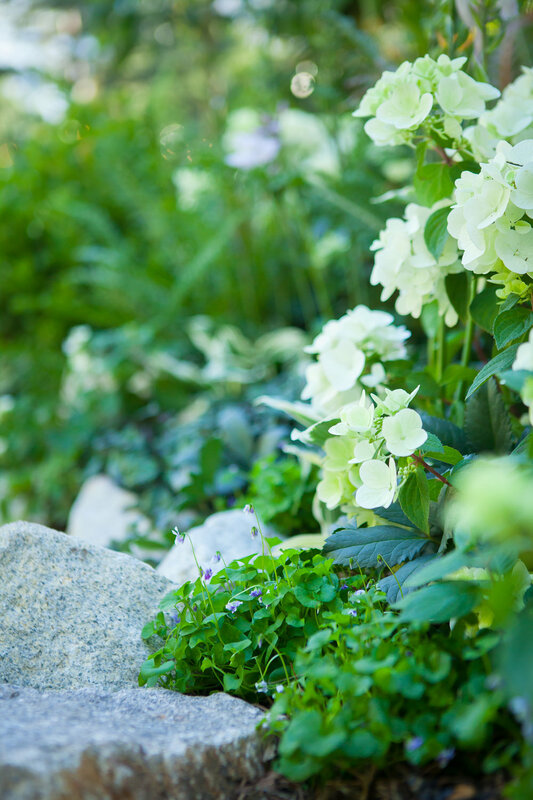 A garden to immerse humanity into nature and feel a sense of belonging to the earth. 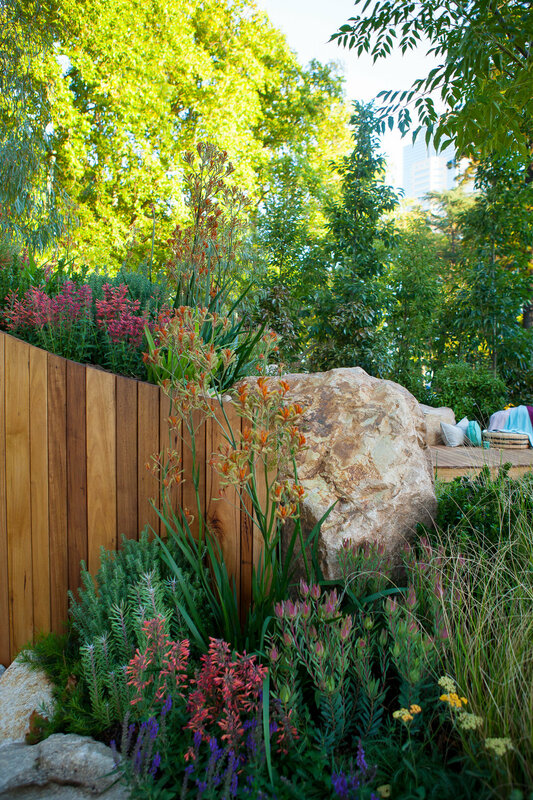 The design worked to our strengths, incorporating a stunning natural water feature and layered planting selected to suit the various microclimates of the garden, and pick up on the colours within the stone and timber. 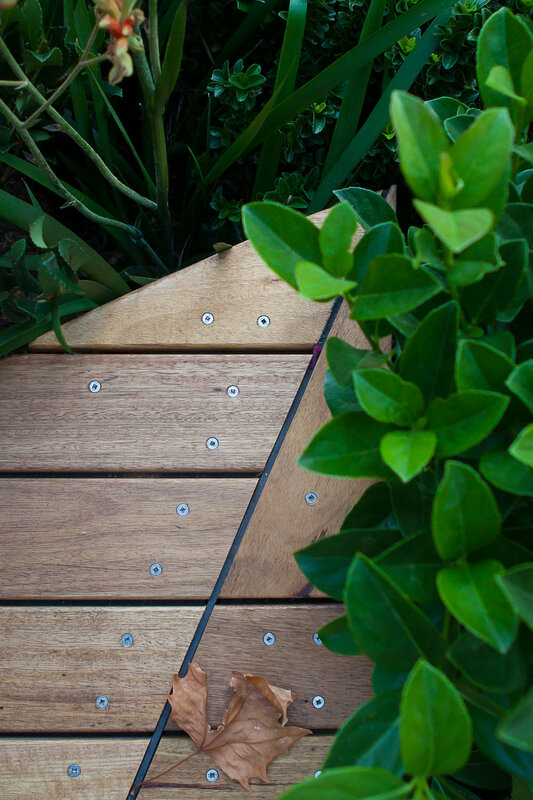 A leaf shaped deck floats out over the stream, allowing you to dip your feet in on a hot day, and experience the sound of the water feature up close. 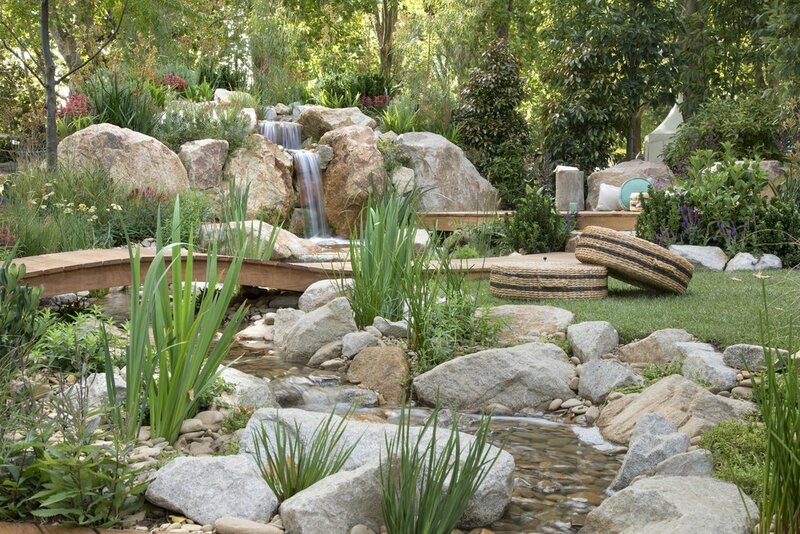 Small details, such as cutting the deck around each individual rock, nestling ferns and native violets between gaps in the stones, all added up to a beautiful space. 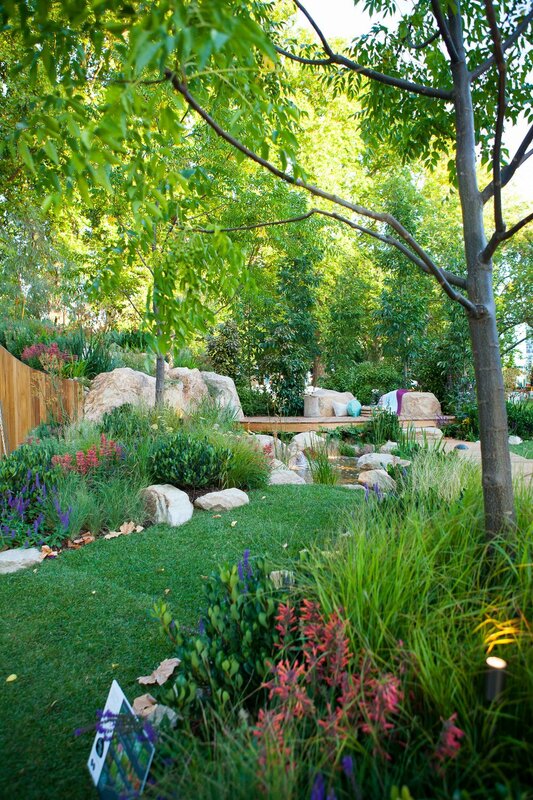 The garden resulted in a Bronze Medal in the Show Garden category, and second in the People’s Choice Awards, as well as a lot of positive feedback from the public and industry professionals alike.